Grammarly is the bread and butter of my everyday writing tasks. It is an online spelling, grammar and plagiarism checker released in 2009. Writing an email, jotting down thoughts for my blog posts, writing papers for college; there is not one place where I did not put it into use. But for doing so, I have been using the free version which available for all. I always wondered how will my writing improve if I take up the premium package. Grammarly is one software I use in my day to day life. Although I have written many pieces, I am a sort of a sloppy writer. I forget to add punctuation marks, make LOTS of spelling mistakes and even though I am good with grammar, it can get lost in the pool of words. When I first found about Grammarly through a YouTube ad, I rushed into downloading the plugin as well as signing myself up. That was three years ago. In this article, I take you through a detailed comparison between Grammarly Premium and Grammarly the free version if the premium version is worth pursuing or not. I will talk about the Pros and Cons, features of each, what professions it can be useful for and if it is worth considering. I have also included a time stamp so to speak so that you can skip to parts most relevant to you. So before we dive in, let us get a quick recap of what Grammarly can do. For those of you who have no idea what Grammarly is, this could be a good start too. Launched in 2009, Grammarly is an online software that does detection of wrong sentence structure, spelling, grammar and style mistakes. It can also assess what type of document you are writing and will give you editing advice accordingly. Available as an app for IOS and Android, it is also downloadable as a plugin and can be used with Microsoft Word. Grammarly works on Safari, Firefox, Chrome and Edge as a plugin. You can also go on to the website and log in with your credentials and use their own editor. Grammarly also provides a keyboard for IOS and Android where it gives auto-corrected words, suggestions to the words and you can just tap and type it in. So before we dive deep into the comparison and see what each feature can do, create an account so that you get a feel of the software and it is for FREE. So why not? Click here to get started and just follow the steps as shown below! Don’t worry, it opens in another tab. So you will stay right where you are. After you click on the link, you will land on this page. Click on ‘Add to Chrome’. This will take you to the signup page and open the chrome web store in a new tab. Don’t worry, you can skip the extra tab that opens up but clicking on the ‘Add to Chrome’ takes you on the signup page. However, I recommend adding it to your browser. If you are on any other browser, it will say ‘Add to <your browser name>’ instead. So, let us talk about what all Grammarly can do. For the case study, I have written a small essay from and will be comparing it with both the free and premium editors and looking in depth of how they edited the same piece of information. 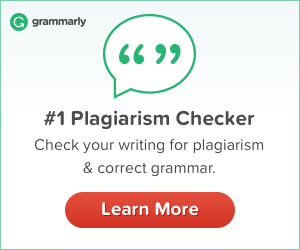 Just a heads up, I have copied it from some sites to cross-check the plagiarism checker of Grammarly. I do not own any information written in the document I have referenced for Grammarly. When you log on to Grammarly the layout of the front page is a shown in the picture below. On the left, there is the menu of the application linking to ‘My Grammarly’ the home page, ‘Profile’ where all the information is stored, ‘Apps’ where all the plugins for different browsers, MS word extra are shown, ‘Premium’ link to upgrading the account and of course the Log Out button. This section also has a prompt introducing the business account. This section links to all the existing documents that have been edited using the on app editor as well as the prompt to upload or start a new document. This section includes two subsections; personal dictionary, language preference, account details. The personal dictionary allows adding words that are not recognisable by standard dictionaries. This can include your first name, last name, the name of a company, anything that can be flagged by Grammarly as a misspelling. Language preference includes options between American, Australian, Canadian and British English. It also gives a detailed description of the four if you are confused. The Account Includes basic information of the account. Grammarly apps give a suggestion of all the apps delivered by Grammarly and where they can be used and downloaded as shown in the image below. Now the free version offers a variety of things. Let us dig deep with the case study. As mentioned before, I uploaded a small essay on cars and electric vehicles into the editor of Grammarly. This is how the layout of the editor is for the free version. This is what each of the symbols means on the editor and let us look at it one by one. On the left, you see options for ‘back to Grammarly’, ‘upload a document’, ‘download a document’. When you press the ‘start assistant’ option on the right you are welcomed by two options: performance and set goals. After I uploaded the document onto the editor I immediately saw that there are a lot of errors in the document. I feel that this tool can prove to be extremely useful. Using the set goals tab you can tell Grammarly about the kind of content you will be writing. As shown in the picture below, you can set the intent of the document, type of audience, writing style and the emotion you would like the document to portray. You can also set the domain of the article, i.e. if it is being written for an academic purpose, business, creative or if it is just casual. However, this option is available just for premium users and we will look into it in the next section and see if it is worth buying. For the performance tab to work, you need at least 30 words in the document. It gave me a score of my essay, the word count as well as the readability as shown in the picture. This tool is available on the free version and can be very useful. Not does it only tell the reading time, it also gives a readability score assessed by the Flesch reading-ease test. It also lets one download the report as a PDF. Now using the general version of Grammarly, you can look up the spelling mistakes, punctuation errors as well as conventions. It also says that I have 25 premium alerts. These are the ones as shown below. The free version is great for those who are clumsy with spellings and punctuation but if you need something which will look up grammar and sentence structure too, the premium version is the place to be! I will be tackling these in the next section and see how it works. 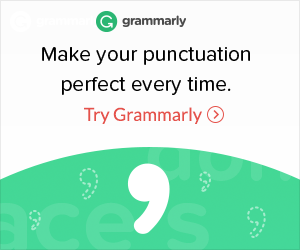 So, start using Grammarly today completely for FREE if you have already not signed up! The premium Grammarly menu is not so different than the free version. Instead of the ‘premium’ option on the menu on the left, it has a premium tag and subscription option where it tells how much time is left for the subscription to end. Now the Grammarly editor is what we will discuss in length here because it does soooo much more than the free version. Although the layout is same as the free version, the premium version uncovers all the premium hidden features we spoke about earlier. Here is a picture of what the free version said so that you do not have to scroll up again. For this article, I went with casual as shown below. The performance tab remained the same. The premium editor showed these two errors in this category. One related to the tense of the word and the other to a modifier word used. According to my knowledge, the tense used in the sentence is correct. The premium version is referring to another part of the sentence unrelated to the tense. However, the modifier suggestion works! It is correctly suggesting the shift of the modifier elsewhere. Now I know, even though the grammar checker does not work correctly for this particular text. It worked wonderfully for some other grammatically wrong sentences I had earlier typed in. This can be essentially beneficial to those who are learning how to write proper sentences in English or are maybe just not so good at grammar. Having an eye for lookout can be beneficial and Grammarly does provide that. Moving on to the next alert, punctuation can be specifically confusing to many. I have seen quite a lot of articles giving unnecessary commas or misplaced semicolons. A wrong punctuation can completely ruin the flow of a sentence. In this alert, Grammarly first warns with the incorrect clauses and gives some options to correct it. I think that is absolutely wonderful. The alert is well placed and the options it gives out are quite correct. The other two alerts talk about incorrect commas. This can be exceptionally helpful for those who often miss out on punctuations. Even the pros at times can neglect a comma here and there. With the great AI at work, it rightfully recognised how to change the sentence for the better. This alert is to notify the writer of the norms as shown in the picture below. I feel this is something many people are aware of and does not directly affect either the structure of the writing or the flow. I had selected the style of the article to be formal in the goals setter. For this reason, it suggests the alternatives to a few words I used at the beginning of the sentences. This can be specifically useful while writing any formal documents. Although the suggestions can be replaced by yourself, it can easily skip the eye. I quite like this particular option. At times articles and documents can go well beyond their intended length. This particular tool can be helpful while trying to shorten writings. As shown in the picture, it suggests words that can make the sentence structure better and more concise. This one is my most favourite tools and I feel that premium can be worthwhile for this tool particularly. It shows you that you have written in a passive or active voice and gives suggestions to change the tone accordingly. Even though it can be done by anyone who has a little knowledge of grammar, it can easily pass the eyes. For instance, in this small article, there was a total of five alerts as shown below. This tool is great for suggesting alternatives to words which can enhance the structure dramatically as shown. feel this is the best tool available, especially for professionals and college students. I ran a test on the article and found that it has a 2% plagiarism. This particular tool can make it a very handy tool and worth the premium price. If you are not satisfied with Grammarly, you can get a human proofreader to give you advice. This is an exceptional tool in the premium version which can provide a lot of insight into your work. So there you go, a total of 25 alerts that were not shown by the free version. Even though some of them were highly predictable and might not be as useful for those who are well versed with grammar, these tools can be a saviour for those who struggle. It has a great plagiarism checker which can prove to be very beneficial to college students as well as bloggers. The tool is great for those who are still unsteady with grammar and require help to write documents. The premium version is also great for those who are looking for a virtual editor. Trust me, you cannot go wrong with Grammarly. Now, let us move on to a comparison of all the features of Grammarly and if this software is worth considering. If you are still not sure, start using Grammarly for FREE and you can always decide later on! Click here to get started! Grammarly also offers a business account which has features similar to premium. In addition to that, you can add the premium features for a team of 3-100 people. Both the free and premium versions offer this. It checks the spelling errors, incorrect punctuation marks and basic grammar. These tools are very helpful for those who are not so well versed with grammar and can help take your written work up a notch. Its suggestive tools for changing the voice of the article is very helpful and can save your essay. I do not have to tell you how badly any sort of plagiarism is looked upon in college. The tool checking for plagiarism is extremely useful for college students. To test run another plagiarism check I ran another test this time directly copying some random text about aircraft from Wikipedia to see if it lists out the sources. To no surprise, at all, it gave a 100% plagiarism and listed the source. IT WORKS! So if this is what you are looking for a Premium account surely can help you! So if you are still not sure just sign up for free today. You can upgrade at any time, but do reap the free benefits at least. It is worth it! Thank you so much for reading this article on Grammarly. I have been using this application for more than three years now and must say that it is truly worth it! The free version has helped me with so many assignments, papers, essays and I do not think there is a better grammar checker online. I use it for my everyday blogging tasks and it is truly a great proofreader. SO GRAB THE FREE VERSION TODAY!! Very interesting article. I didn’t realize that the premium version could do so much! I actually really liked this and would like to one day subscribe to Grammarly. I was using the free version but I found it slowed down my computer quite a lot. When I have a better computer I think I will go premium. Thanks! This is great I have been thinking of this and hadn’t had the time to investigate. I use the free version every day so I am already impressed I was wondering what the paid version did. Wow, I had no idea that there was so much to the Premium version. I have used the free version for about 3 years now and never thought of upgrading. Quite a bit of value in it for those who write a lot like me. Yes absolutely! 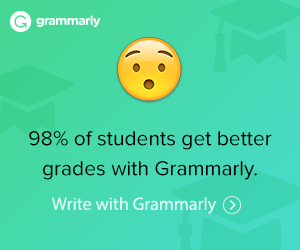 Grammarly has a lot of features which can surely help those who write quite a lot! Have used the free version for a while and have thought of upgrading to the premium. Some useful insights in this post. I have the free version of Grammarly and will be upgrading sometime soon. I really like Grammarly. Thanks for all the information on the premium version. Super article, covering the aspects I needed to make the decision to upgrade. Thank you! Thank you so much! Oh yes! Must have missed it in the proofreading. Thanks for pointing it out 😀 Will change right away!